Apple today unveiled the new iOS 7 featuring a jaw-dropping UI with subtle motion, functional layers, cool animations and an overall flatter look. 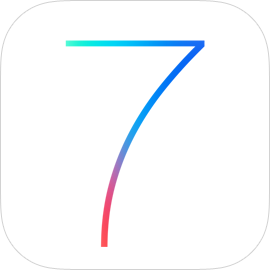 Calling it “the most significant iOS update since the original iPhone,” Apple revealed iOS 7 to WWDC 2013 attendees today, showing off a stunning new user interface. Completely redesigned with subtle motion, iOS 7 delivers an elegant color palette and functional layers, as well as refined typography, translucency and motion. New features include updated Control Center and Notification Center, a new Music app, improved Multitasking, AirDrop, a new version of Photos, an enhanced Safari web browser, an updated Siri with realistic male and female voices, and iTunes Radio. There’s a ton of stuff in there for developers too (which Apple details on its dev channel). If you’re enrolled, go ahead and download the software from the Apple Dev Center on your iOS device. Compatibility starts at iPhone 4. Any device released after that is a go. [Update, June 11, 2013, later]: headline updated to remove iPad reference. The software isn't ready for tablets yet.